Your orchids are beautiful and your books make for great reading! I liked the setting — learned so much about fishing and coast that I never knew. That’s great to hear, Darlene. Thanks. Your orchids are a beautiful color, Anneli. I have two in my office and one at home. All three look like the one you’re plantsitting. I give mine a little water practically every day and they are huge! They bloom at least 5 times a year…it’s crazy! Yes, it sure is nice to have colour in January. Can’t wait for spring! Beautiful orchids Anneli. Can’t wait to see what happens to the characters in The Wind Weeps. I just downloaded the book. That’s great, Deepa. Thank you. Don’t forget it has a sequel. 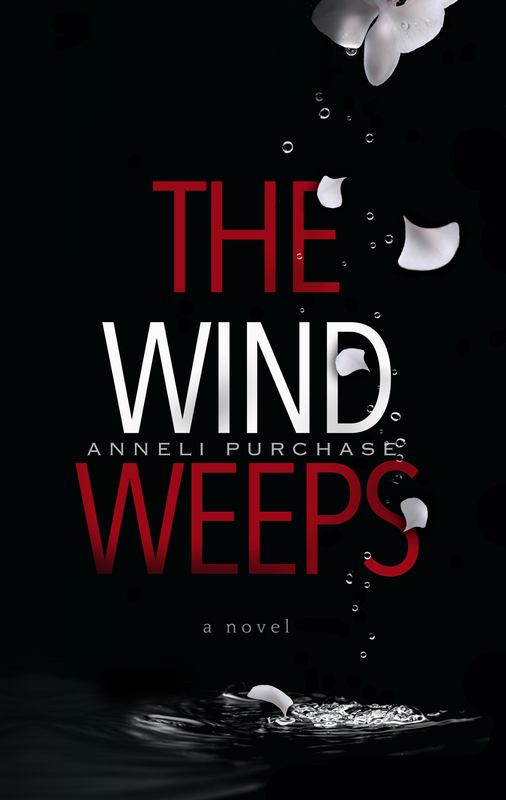 Although it’s a full-length book, The Wind Weeps is only part one. I hope you enjoy it. The orchids are beautiful. When we lived in California, the gardener had almost 40 orchids that bloomed and bloomed, but when we moved to Arizona, he had to give them away. Here, the blossoms fall after a couple of weeks and they rarely grow back. Sooo dry here. Dry is good unless you’re an orchid. That’s one thing about California – it seems to be paradise for gardeners. Sure better than Arizona haha. Well, I’ve heard that Arizona is the place to live if you have arthritis or don’t want to get it. Here in South Florida folks attach them to the trees in front or back of the house. Orchids everywhere, sometimes bushes of 20 /30 flowers. Oh WOW! That would be fabulous! I can’t even imagine! Amaryllis are so flamboyant and a beautiful burst of color for this time of year. Those are huge! Yes, they sure are big. Beautiful orchids. About this time every winter, I always buy a few plants, I need to see some greenery to contrast with the outdoor view. I know the feeling! Spring! Where are you? Those are beautiful orchids! I´ve never seen them in this bright red colour. I love orchids and so I loved reading everyone of your books! If you mean the red ones, those are amaryllis (not orchids), but some of the orchids are bright purple. The amaryllises belong to my neighbour. It makes me happy that you enjoyed reading my books. Lots of references to orchids in The Wind Weeps and Reckoning Tide. That guy was really crazy! Yes, he sure was! So was the whole story, I´ve read it almost in one stretch. Love your orchids! I’ve never tried those myself but I do amaryllis EVERY year- I love them so! I had 2 red ones this year, but my favorites are the dark pink and the orange ones! After having these amaryllises visiting me for a week I’m convinced I should try some of my own. They are very impressive flowers! One of my orchids bloomed recently too. I love flowers especially in the dead of winter. I’ll download it and share today! You need to link your book up from Amazon! Thanks, Susie. I’ve just done that. I thought it was enough to click on the book cover images on the sidebar, but it makes more sense to have the link handy in the text. Thanks a lot, Susie. That’s great. I love love orchids also and have three at my home now. Interesting reading how different people water them – I know it’s easy to overwater. I now use a shot glass every 2-3 weeks, and that works well. I remember the orchid in The Wind Weeps- creepy and scary. Such a wicked man enjoying the use of such a fragile and beautiful flower. Loved both of those books, Anneli. Thanks, Pam. I’m so glad you enjoyed my books, as I have definitely enjoyed yours. Looking forward to your next one, as soon as you find time to write it!